Full Name Oswald James Cattley . Children 1874 Margaret Rhoda .
. 1876 Bernard Law .
. 1877 Oswald Vincent .
. 1879 Patrick Oswald .
. 1881 Evelyn Mary .
. 1883 Norah Isobel .
. 1885 Stephen James .
. 1887 Mark Oswald .
. 1891 Dorothy Isabel .
. 1892 Elsie Margaret . Oswald Cattley was a Merchant and Mine Manager in Russia, Siberia and the Caucasus . He was a Fellow of the Royal Geographical Society, an Engineer, and a Siberian Explorer . On Retirement he lived in Derbyshire where he was a JP, & in London . 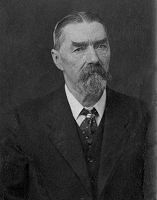 Oswald Cattley in Petrograd, November 1915. Brothers Oswald & James, Ealing, 1921. .